"....a band who transcends time and space." 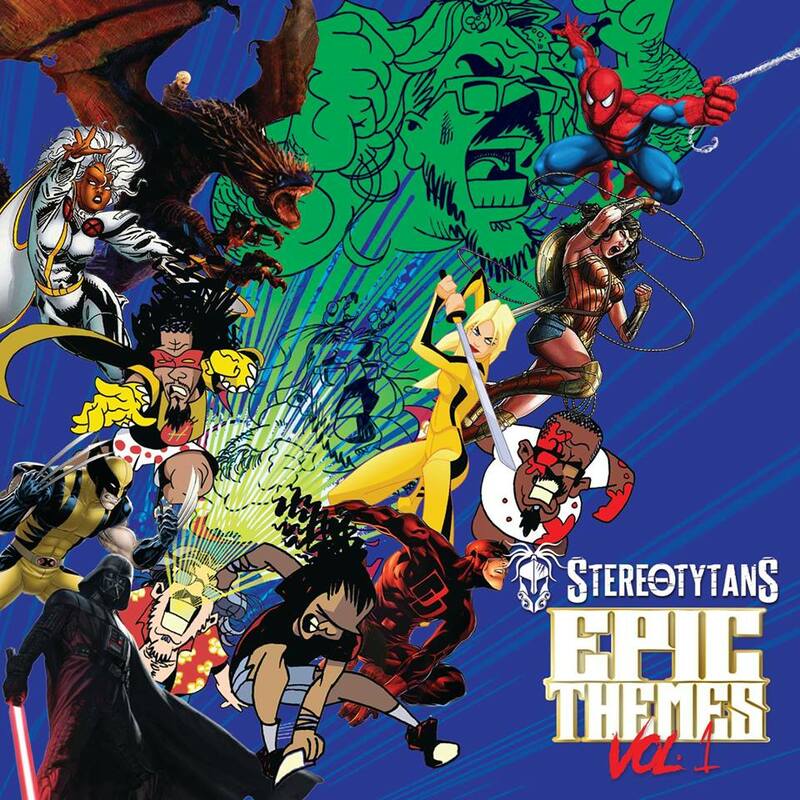 PHILADELPHIA, PA>STILL hot off of their headlining performance from 93.3 WMMRs Mistletoe Jam and being featured as Jaxon's Local Shots Artist of the Month for December 2017, Stereotytans are gearing up again for a weekend full of their signature comic book rock! Philadelphia's Favorite Comic Book Rock Band will be performing on February 23, 2018 at Underground Arts: Black Box located at 1200 Callowhill Street Philadelphia PA, 19123. Doors open at 8:00PM and the show begins at 9:00PM. This is a 21+ event. Ticket information is available online. Keep up to date on all show info by checking out the event page. If you missed Mistletoe Jam, get your tickets for this show NOW and mark your calendars ASAP! Demygod Army: Cosplay is welcomed and encouraged! 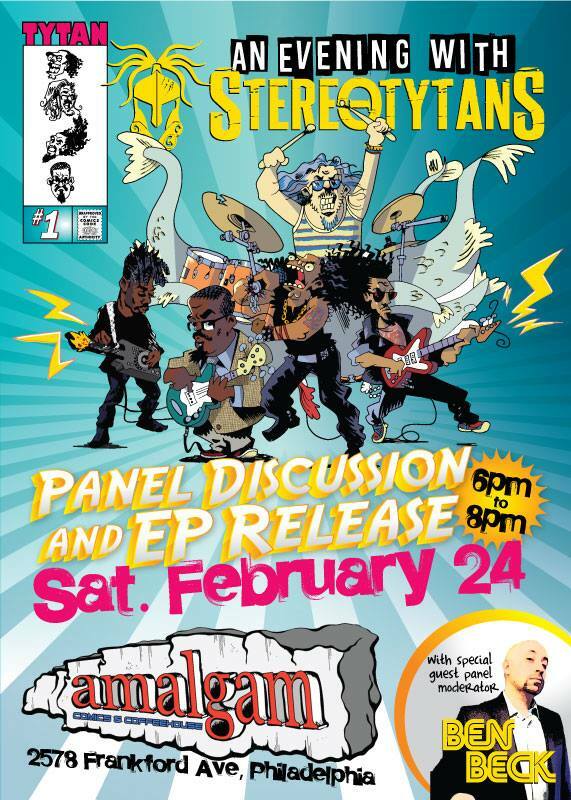 After you're recruited to the Demygod Army at Underground Arts, be sure to show your pride by coming out to their second album release and panel on February 24, 2018! The Stereotytans are releasing their second album, Epic Themes Vol. 1, during a panel event at Amalgam Comics & Coffeehouse, February 24th, 2018 from 6:00PM-8:00PM. Moderator Ben Beck, from The Next Level Podcast Network and co-host/producer of several podcast series (The Showcast being one kickass example) will explore the Stereotytans concept, writing process; and genesis of their live show with James Comey, Stereotytans comic artist and co-author and the band members. All those in attendance will receive a free copy of the new album! Keep up to date on all show info by checking out the event page.